Benefits are many and varied depending on the circumstances that create the problems in our lives. People from all walks of life and with a wide variety of reasons come to Rolfing. It is not only for relief from pain and stress, but also to gain improved performance in their professional and daily activities. These include dancers, athletes, students of yoga and meditation, musicians, businessmen and women. 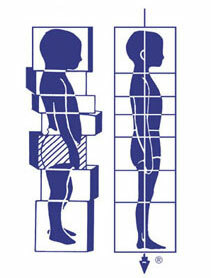 It has been found that people have noticed increased mobility, flexibility and fluidity after Rolfing. Causes of systemic problems may be triggered or affected by collapsed, compressed and poor posture, so by realigning the structure it may be possible to relieve some symptoms. Often due to the result of poor structural integration, many of the most common complaints such as back pain, repetitive strain injury, lack of mobility, headaches and general lack of energy respond very well to Rolfing. Some people may just come to Rolfing just because they “don’t feel right”. Almost everyone can benefit, for example people who are receiving help with mental well being, find working with a Rolfer is an effective way to provide them with support and meaning to their process as they work to resolve past trauma or to improve emotional or self-esteem issues. Rolfing also benefits fit people, as it is being used more and more to complement and enhance training regimes and to speed recovery from injury by sports people and athletes or even prevent injury happening in the first place.